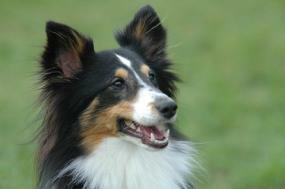 Hello, I want to get both of my dogs checked for Collie eye anomalies, and I need a vet that does CERF testing. Do you think my vets might be able to help me with this? I think I asked them in the past and they didn't, but I am not sure. For our readers who are unfamiliar with CERF, it is an acronym for the Canine Eye Registration Foundation. This organization maintains a registry of all purebred dogs that have been tested for a number of inheritable eye problems and found to be clear. In answer to your question, Deb, the testing must be done by a veterinary ophthalmologist (VO). The official CERF website offers a search page to help you find participating VO's near you, as well as upcoming clinics. Additionally, the breeder you purchased your original stock from should be able to provide you with the name of the VO they used.